Before reading about how to unwind leaky gut, it’s important to understand what causes it so you can identify the best strategies to improve your gut and brain health. Unwinding leaky gut is a multi-faceted approach that consists of following a restricted diet, taking nutritional compounds that help reduce intestinal inflammation and repair the intestinal lining, probiotics to help balance gut bacteria populations, and for some, adding digestive enzymes and betaine hydrochloric acid to the diet. The length of time required to unwind leaky gut can vary. It can be followed for as few as three days for a quick recovery after accidental exposure to a food that causes an immune reaction. The average leaky gut program will take 30 to 60 days. More advanced cases may need to follow the program for as long as 90 days. You will know it has been long enough when your symptoms resolve. However, if you have an autoimmune disease or celiac disease, staying on the diet and nutritional support long term provide the best outcome. An autoimmune condition creates inflammation that affects the integrity of the intestinal wall. These people will struggle to varying degrees with intestinal permeability throughout their lives. You will have to follow the program for a length of time and then go off of it to evaluate how you feel. You will know if you need to go back on the program based on how you feel. If you do not have obvious symptoms, the only way you can be certain is with lab testing before and after the program. 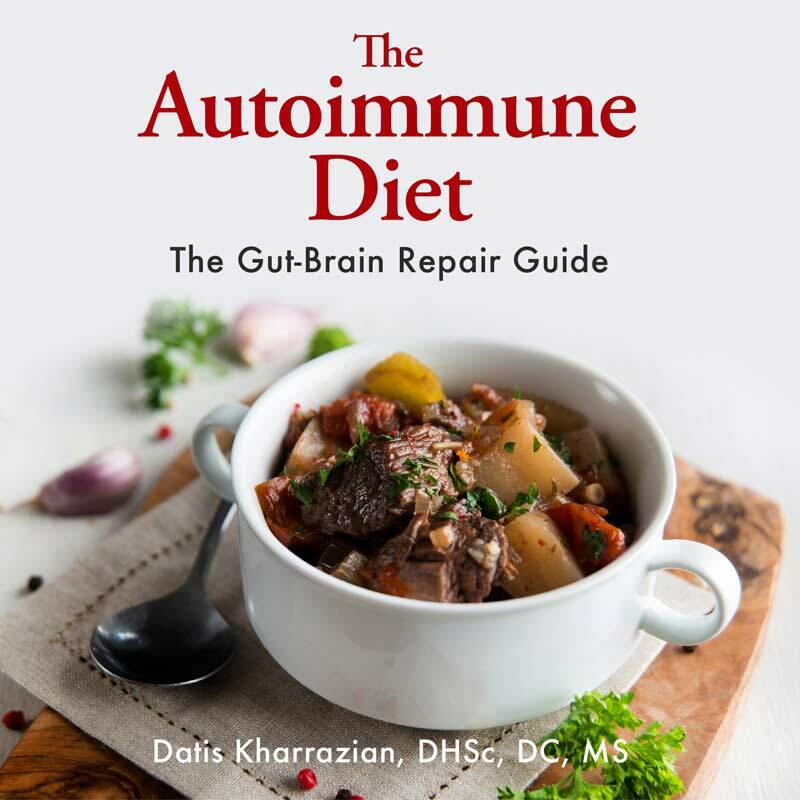 The autoimmune protocol (AIP) is an effective diet and lifestyle protocol that helps autoimmune patients overcome the core underlying factors preventing recovery, including inflammation, leaky gut, hormone imbalances, blood sugar imbalances, micronutrient deficiencies, and immune system dysregulation. 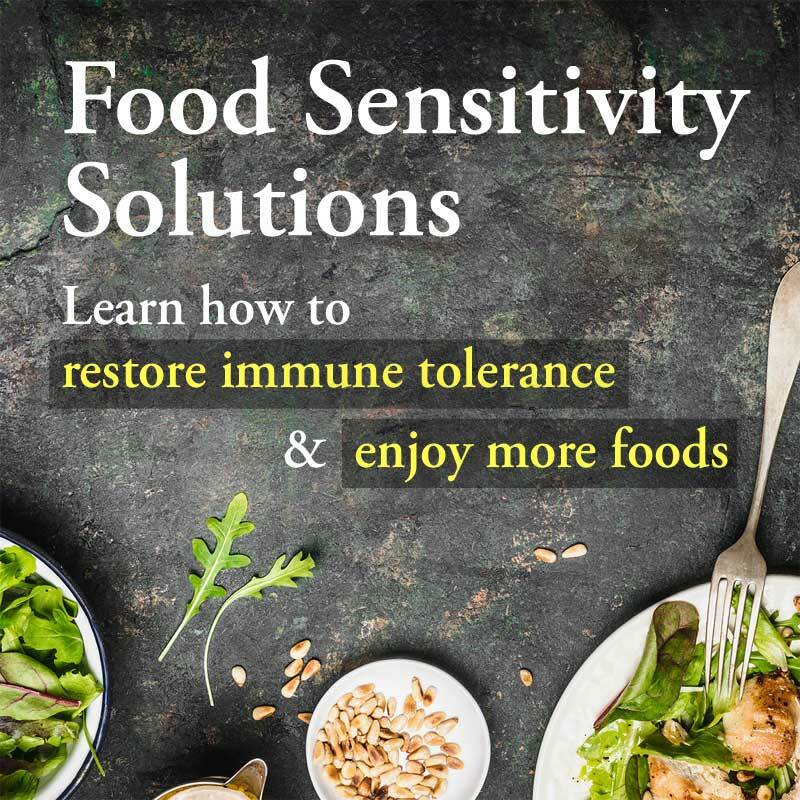 The autoimmune protocol is an elimination and reintroduction protocol: For a time you eliminate foods that are known to drive inflammation and resulting symptoms, and then you reintroduce foods methodically to rule out reactivity. The optimal end result is a diet and lifestyle that support your health while avoiding factors that undermine it. Read about the details of the autoimmune diet in this article. One emphasis of the diet is on reducing intestinal inflammation and repairing the intestinal membranes. The literature shows a variety of botanicals and nutritional compounds also help restore and maintain the intestinal lining. They support tissue during intestinal inflammation or discomfort, help regulate the enteric nervous system and motility, and support the secretion of digestive enzymes. L-glutamine is the preferred fuel source for the cells of the small intestine and has been shown to support the regeneration and repair of the intestinal lining. It has been shown to increase the number of cells in the small intestine and the number of villi on those cells, as well as the height of the villi. Studies have shown L-glutamine reduced permeability of the lining that accompanies leaky gut patterns that promote intestinal inflammation and the development of delayed food intolerances. Deglycyrrhizinated licorice is a popular and substantially studied natural compound with flavonoids that helps repair the gastric and intestinal lining. Many different mechanisms have been shown with regard to its restorative properties, including stimulation and differentiation of glandular cells, protective mucus formation, protective mucus secretion, increased intestinal blood flow, and growth and regeneration of intestinal lining cells. Aloe leaf extract contains natural phytochemicals and powerful antioxidant properties that reduce intestinal inflammation, soothe the intestines, aid in intestinal wound healing, and have an anti-ulcer effect. It also appears to have antifungal properties, support cholinergic intestinal motility, and reduce intestinal pain and discomfort. Tillandsia, also known as Spanish moss, has historically been used for intestinal irritation and allergies. Research on the plant has identified rich sources of flavonoids and other phytochemicals that provide antimicrobial activity and free radical scavenging properties. Marshmallow extract has high content of mucilage that can sooth and help heal compromised intestinal barrier tissue. It is also rich in antioxidants that can support healing of tissue. It is has properties that inhibit hyaluronidase, the enzyme involved in the break down of hyaluronic acid, which promotes intestinal tissue destruction. Methylsulfonylmethane is a rich source of natural sulfur that acts as a substrate for the antioxidant defense systems as well as support for substrates for hepatic phase II sulfation pathways. It has antifungal and anti-inflammatory properties that help support the compromised liver-gut axis. Gamma oryzanol is a mixture of plant sterols and ferulic acid esters from rice. It has been demonstrated to be a powerful antioxidant. Numerous papers have shown its effectiveness for gastrointestinal complaints, ulcers, irritable bowel syndrome, and non-specific gastrointestinal conditions. It has also been shown to modulate and support the enteric nervous system in its ability to activate intestinal motility and secrete digestive enzymes. Slippery elm bark is very high in natural mucilage and helpful in soothing inflamed intestinal cells. It reduces contact of inflammatory proteins with the intestinal mucosa, thereby enhancing recovery from intestinal barrier compromise and inflammation. The chief constituent of German chamomile has been identified as esters of angelica root and tiglic acid, together with amyl and isobutyl alcohols. These constituents have been shown to enhance wound healing time and modulate prostaglandins and nitric oxide activity to provide gastric and intestinal protection. Marigold flower extract constituents include saponins, carotenoids, flavonoids, mucilage, bitter principle, phytosterols, polysaccharides, and resin. It has been used historically for varied gastrointestinal complaints. It provides substrates for digestive enzyme production, reduces inflammation, and provides antibacterial activity. If a probiotic must be refrigerated its integrity in the warm, acidic environment of the stomach is questionable. Therefore, I prefer shelf-stable shelf-stable strains that can withstand stomach acid so they survive intact to inoculate the upper and lower intestines. I go for probiotics that reduce intestinal ammonia, improve intestinal pH, increase short-chain fatty acids, and improve the balance of healthy bacteria in the intestines. The strains below appear to combat toxins, candida, and bacterial infection, as well as nourish intestinal cells. I also find arabinogalactan, a compound made up of protein and sugar, helpful for immune support. In addition to being a food supply for friendly bacteria, it also has been shown to stimulate and modulate the function of immune cells. Saccharomyces boulardii is a non-pathogenic yeast and is resistant to stomach acid, bile, and pancreatic juices so it can tolerate varying pH levels of the intestines, unlike common probiotics, and inoculate the upper and lower gastrointestinal tracts effectively. Additionally, antibiotics have no impact on these organisms so the two can be taken together without contraindications. There are more than 200 papers published on the benefits of this probiotic. Numerous randomized, double-blinded placebo-controlled studies have shown Saccharomyces boulardii’s efficacy for diarrhea, irritable bowel syndrome, intestinal infection, and inflammatory bowel conditions. 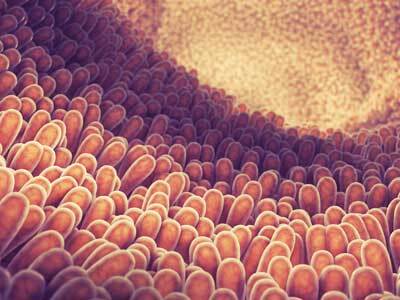 Lactobacillus sporogenes is a gram-positive, spore-forming, lactic-acid producing bacillus. It has the ability to pass through the stomach in its spore form and multiply rapidly in the intestines. The mechanism of action is thought to help replenish the quantity of desirable obligate microorganisms. At the same time it provides antagonizing effects on pathogenic microorganisms. The DDS-1 Lactobacilli acidophilus strain has been investigated extensively and is considered the most stable bacterial probiotic resistant to adverse conditions such as heat, humidity, oxygen, and light. The DDS-1 strain produces natural antibiotic acidophilin and inhibits the growth of 23 toxin-producing microorganisms. It also produces enzymes to digest protein, fat, and lactase and produces B vitamins, folic acid and B-12. Lastly, it produces hydrogen peroxide to fight adverse bacterial and yeast overgrowth. Numerous papers have found it effective for diarrhea, intestinal bacteria and yeast overgrowths, and intestinal inflammation. Arabinogalactan is a highly-branched polysaccharide that is non-digestible and resists breakdown by intestinal enzymes, so it can populate the large intestine and ferment into powerful supportive colonic bacteria. It has been shown to increase the production of healthy and beneficial microorganisms including short-chain fatty acids and beneficial microflora. It has also been shown to decrease the adverse generation of intestinal ammonia. Lastly, these compounds have been shown to demonstrate significant impacts in improving the integrity of the gastrointestinal immune system. Many people with advanced gut problems have significant issues with candida overgrowth, fungus, bacterial infections, or parasites. In these cases, eradicating these organisms is necessary to calm the inflammation and allow the digestive lining to repair. However, it’s also necessary to tread gently in this territory. Too aggressive of a detox makes some people very ill with symptoms of nausea, vomiting, diarrhea, or other effects. Therefore, it’s important to always start slowly and with small doses when taking gut detoxifying compounds. Yeast and fungal overgrowths are well known for accompanying and contributing to leaky gut. Certain botanicals have been shown effective in combating these growths. When used in combination the following botanicals have demonstrated broad-spectrum anti-fungus, anti-mold, and anti-ova properties. They inhibit the growth of molds, yeast, and fungus, and they help correct the unhealthy microbial environment produced by these microorganisms. Undecylenic acid is a natural 11-carbon monounsaturated fatty acid derived from castor oil that has been shown to be very powerful for mold, yeast, and fungus inhibition. It has demonstrated antifungal properties and helps support the healthy balance of the intestinal and vaginal flora as well as inhibit the morphogenesis of Candida albicans. Its mechanism of action is thought to be its ability to interfere with yeast, mold, and fungal fatty acid biosynthesis by disrupting the pH of the cell cytoplasm and preventing the development of the pathogenic organism into the active hyphae form. Caprylic acid is a medium chain fatty acid found naturally in coconut oil, palm oil, and butter fat, as well as in milk from humans, cows, and goats. It has been used as a natural antifungal and anti-yeast product for almost 50 years. The short length of its carbon chain allows it to easily penetrate the walls of fungus and yeast. Caprylic acid is thought to dissolve the cell membrane of yeast, causing changes in fluidity and permeability that leads to membrane disaggregation. Uva ursi has been used medicinally since the second century. Its constituents include Arbutin, hydroquinone, and tannins. These constituents have been shown to have antimicrobial properties and also have astringent effects, helping to shrink and tighten mucus membranes and reduce inflammation. It has historically been used to support chronic diarrhea, urinary tract infections, and to reduce uric acid. Yeast organisms produce large amounts of uric acid by activating uric acid synthase and promoting inflammation. Cat’s claw has been used in Peruvian medicine for hundreds of years for a wide range of health problems. It is rich in a diverse set of alkaloids, glycosides, and proanthocyanidins that seem to enhance the gastro-intestinal immune system, dampen inflammation, and provide antimicrobial properties. Cat’s claw may help prevent opportunistic growth of bacteria and yeast. Pau d’arco is a native to South America, where it has been used for hundreds of years to address a wide range of health problems. The chemical compounds in the plant include naphthoquinones, specifically lapachol and beta-lapachone. These constituents appear to have antifungal and antibacterial properties. People can unknowingly host a variety of parasites, whether they are pinworms, roundworms or tapeworms, or something less obvious but just as destructive, such as single-celled protozoa: giardia, cryptosporidium, or amoebas. The following botanicals work to provide natural support to help the body expel parasites, and have also been shown to demonstrate antioxidant properties that support anti-inflammatory mechanisms. When used together they also have an impact on pathogenic bacteria. Wormwood extract. The active constituents of wormwood (Arthemisia annua) include absinthin, anabsinthin, and thujone. These constituents have been shown to have antiparasitic, antifungal, and antibacterial properties. Wormwood has also been shown to have antioxidant properties, increase digestive enzymes, and reduce intestinal discomfort. In addition to its antiparasitic properties, it has demonstrated therapeutic uses in the expulsion of parasitic worms and is classified as a vermifuge. Olive leaf extract contains oleuropein phenolic compounds. These compounds have very powerful antioxidant, anti-inflammatory, and immune modulating properties. These activities have been shown to serve as a natural agent with antifungal, antimicrobial, antiviral, and antiparasitic properties. Various mechanisms have been discovered related to their anti-pathogenic effects, including inhibiting pathological organism reproduction, altering pathogenic organisms to build cell walls, altering protein production of pathogenic organisms necessary for replication, inhibiting assembly of pathogenic organisms at the cell membrane, interference of reverse transcriptase and protease production of the pathogen, and enhanced formation of the immune system cells to combat the pathogenic organism. Garlic (Allium sativum) is a rich source of thiosulfinates and allicin. Garlic has been used for various medicinal purposes by many different cultures for thousands of years. The thiosulfinates’ mechanisms of action have been extensively studied in vitro and in animal and human clinical trials for various conditions. It is very clear that it contains antiparasitic, antibacterial, and antifungal properties. Additionally, it does not appear to compromise the healthy gut bacteria despite its antiparasitic and antimicrobial effect. Black walnut (Juglans nigra) is rich in tannin, juglandin, juglone, and juglandic acid content. These constituents are known to have antiparasitic, antifungal, and antimicrobial activity. It has classically been used for its vermifuge properties of expelling tapeworms, pinworms, and ringworms. It is also very well known for its intestinal yeast overgrowth management. CHECK OUT: Are your supplement ingredients safe? H. pylori is a naturally occurring bacterium that lives in the highly acidic environment of the stomach. Many people today experience an overgrowth of H. pylori, which researchers discovered to be the cause of stomach ulcers. An H. pylori infection can cause symptoms of bloating, nausea, or a burning pain in the stomach an hour or so after eating. It also can cause hypochlorhydria, or too little stomach acid, which impairs digestion and nutrient absorption and, paradoxically, causes symptoms of heartburn and acid reflux. This commonly leads to a misdiagnosis of high stomach acid and subsequent prescription for acid-blockers, which serve to make the problem worse. Imbalanced gut flora and bacterial infections are typically a problem with leaky gut. As part of their intestinal permeability test, Cyrex Labs measures levels of LPS antibodies. LPS (lipopolysaccharides) are in the cell walls of pathogenic bacteria and provoke an immune reaction. When higher than normal levels of LPS antibodies show up on the test, it indicates that bacterial overgrowth plays a role in leaky gut by triggering inflammation. Eradicating these bacteria is a helpful tool to restoring gut integrity. The following botanicals have been shown to be effective in eradicating excess H. pylori and serve as good all-around antibacterial and antifungal substances. They have also been shown to support a healthy immune response in the gut, inhibit intestinal inflammation, serve as an intestinal antispasmodic, and support intestinal mucus membranes. Plants with high Berberis alkaloids have been used in both Chinese and Ayurvedic medicine for centuries. These plants appear to demonstrate significant antimicrobial activity against a variety of bacteria, fungi, protozoans, helminths, chlamydia, and viruses. Berberine has demonstrated the ability to inhibit the growth of giardia lamblia, trichomonas and entamoeba histolytica. These plants also demonstrate anti-inflammatory properties such as inhibiting arachidonic acid-induced thromboxane A3 release, and the ability to activate macrophages. Yerba mansa is not related to the berberine-containing plants chemically or botanically, but it is used to treat similar conditions. The active compound in Yerba mansa is methyleugenol, an antispasmodic similar in chemical structure to compounds found in nutmeg, which is used to treat irritable stomach. It also appears to have anti-inflammatory effects and is used to treat inflammation of the mucus membranes. The plant has also been shown to have antifungal properties. Oregano extract has been used for the management of gastrointestinal-related infections in natural medicine for hundreds of years. It appears to have properties that inhibit enteric parasites and has immunostimulatory effects on lymphocyte production. The vagus nerve is a large nerve that helps the brain and body communicate with each other. It plays a large role in the body’s job of digesting and moving food from the small intestine to the large intestine. Poor brain health, brain trauma, or brain degeneration play a role in leaky gut by decreasing activation of the vagus nerve. Low vagal tone reduces gut function, resulting in the backup of bad bacteria from the large intestine into the small intestine. Sing loudly. If you are alone at home or in the car, spend some time singing as loudly as you can. This also activates the back of the throat and hence the vagus. Gag. Using a tongue depressor, which you can buy off of Amazon, gently press on the back of your tongue to make yourself gag. Please do not poke the back of your throat. Do this several times a day, again, ideally until your eyes tear. Gargling and singing are like sprints for the vagus nerve, whereas gagging is strength training. Coffee enemas. The vagus nerve is activated by holding an enema. That, together with compounds in coffee that stimulate nerve receptors, will help activate the vagus nerve. Hold the enema solution as long as you can, until you’re shaking from the effort. Please Google instructions for doing a coffee enema. For more detailed information on these botanicals, please see Chapter 9 in my brain book. how often do you recommend doing the coffee enemas? For vagus nerve activation purposes, that would depend on the individual. For those who have very low vagal activation, daily enemas are helpful to get things back on track; for others, less frequent enemas are also useful for maintenance. You only need to do the vagal exercises until your digestive function has improved. The length of time is different for everyone. For those whose constipation is persistent due to more advanced degeneration, you may find doing the enemas on an ongoing basis is helpful. 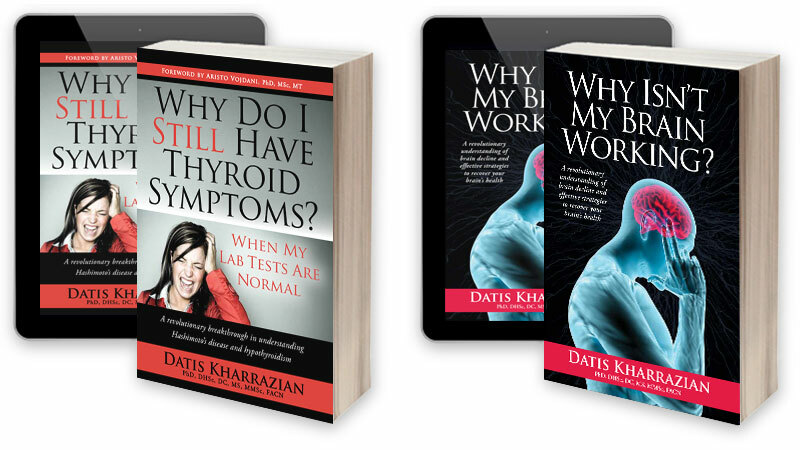 I’ve bought the books of Dr. Kharrazian and also hoped to find a guideline for intestinal cleansing. In this article you introduce 4 kind of probiotics. Does that mean that I should find a product which includes all of them? I already eat gluten, lactose and dairy free, avoid further food which according to IgG test I should avoid, stopped drinking coffee and eating sugar and I feel fine. But I know that everything is just on hold. Is it now the right time to begin with an intestinal cleansing and what should I watch out for when buying probiotica, have you got any recommendations which products to use? You should be able to find a product containing multiple strains of probiotics that include the ones listed here. The Arabinogalactan may have to be bought separately. Dr. Kharrazian doesn’t like to recommend specific products because it’s impossible to keep up with ingredient and quality changes; also, since different products contain different fillers which may or may not be reactive, an individual needs to determine which will work for them. I look for products that are as filler-free as possible, and I avoid FOS (fructoologosachharides) which can be problematic for those with overgrowth of negative gut bacteria and yeast. 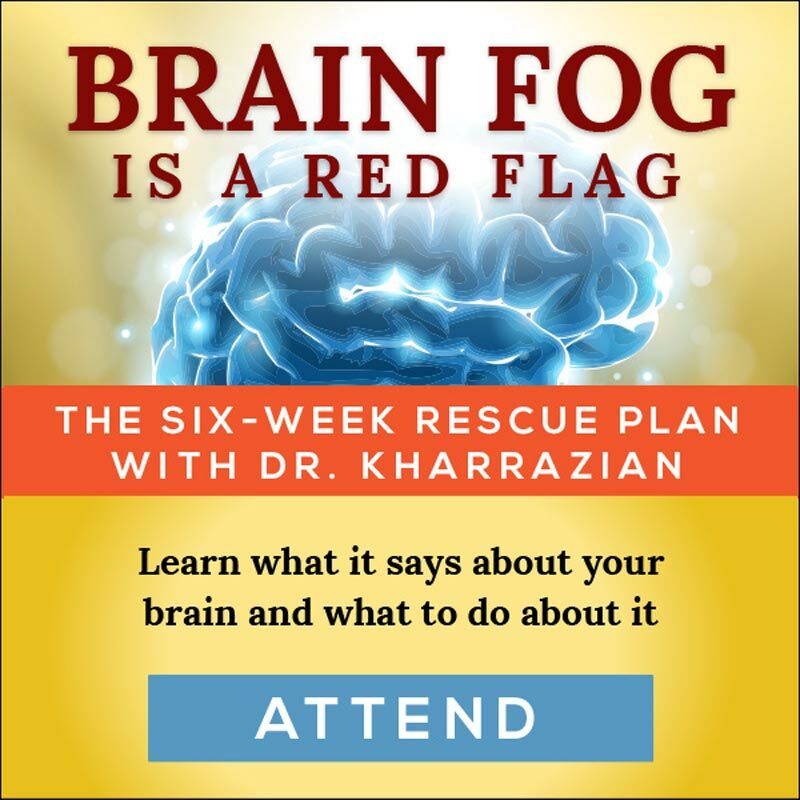 Dr. Kharrazian prefers shelf-stable probiotics to refrigerated, as he feels they will survive the journey through the gut for longer, getting to the necessary location more successfully. When to do an intestinal cleanse depends on the person. However, in traditional natural medicine circles, spring and summer are considered a good time, partly because it’s warmer, thus less depleting on the body). I’d consult with my healthcare practitioner first, to make sure there aren’t any reasons to wait.